Fall is right around the corner, which means Halloween! Even though we don’t really do much for Halloween in our house, we do usually have some fun snacks and dress the kids up. 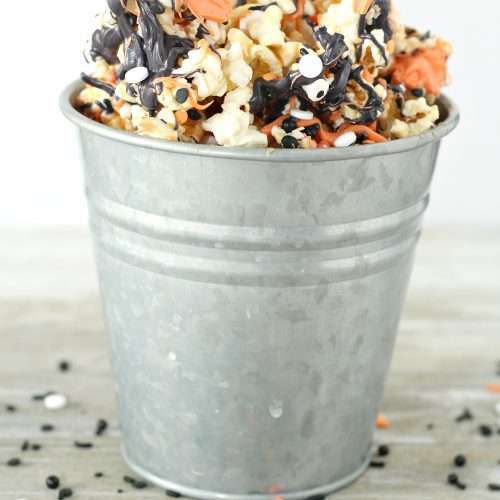 This caramel monster popcorn is an easy and fun snack or treat for Halloween! Add candy eyeballs and gummy worms if you want to make it even ‘scarier’. 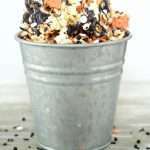 You could also use your favorite football team’s colors instead of the orange and black melting chocolates for a delicious tailgate treat. 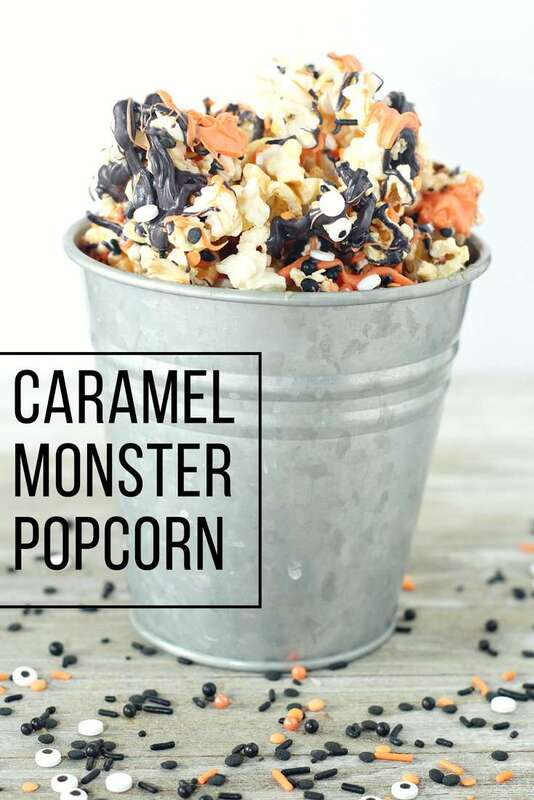 I’d love to hear how you enjoy this fun and easy caramel monster popcorn! 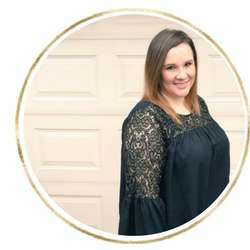 Start by preparing your bag of popcorn and dumping it out onto your cookie sheet. 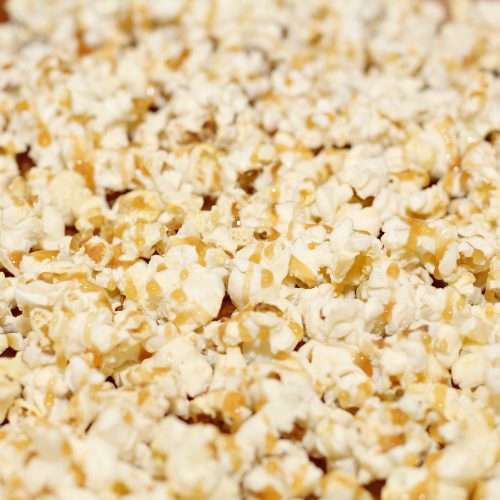 Drizzle your caramel all over your popcorn. Next melt down your orange and black chocolate in the microwave, in 45 second intervals. 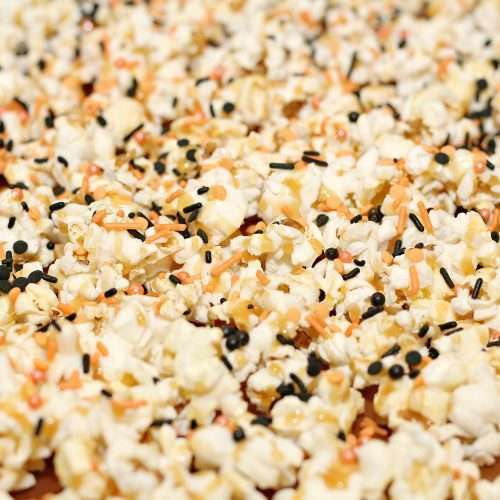 After adding your caramel, add your orange and black sprinkles. 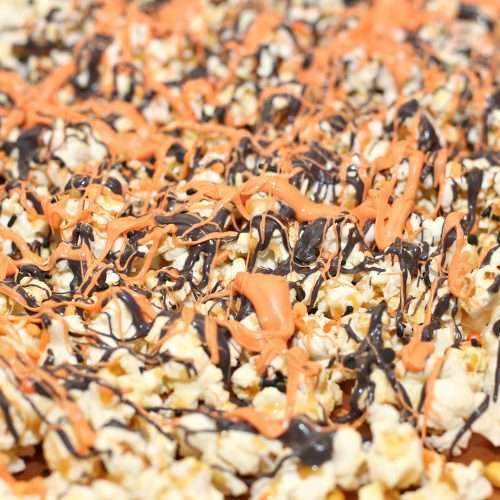 Once your chocolate is ready drizzle popcorn with black and orange chocolate. You can either serve on the cookie sheet, or place popcorn into a bowl using a spatula.